It is said, at least in my own mind to myself, that the old car hobby is for old men (chiefly). 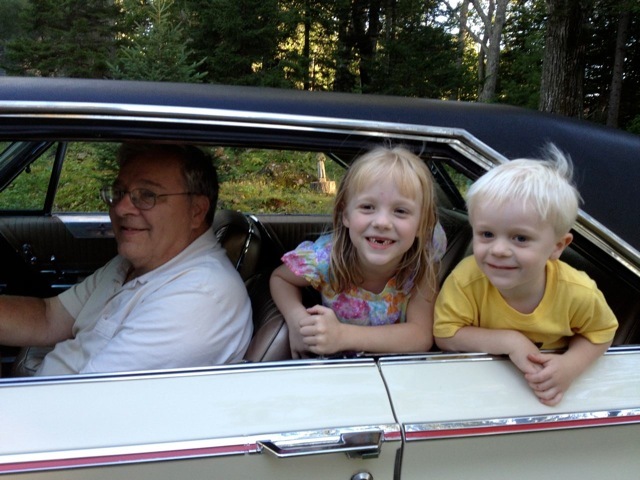 And so it is a joy to take the grandchildren to the barn and let them fondle the L.
And then go for a ride, without seat belts or child protective devices like they use on the space shuttle. 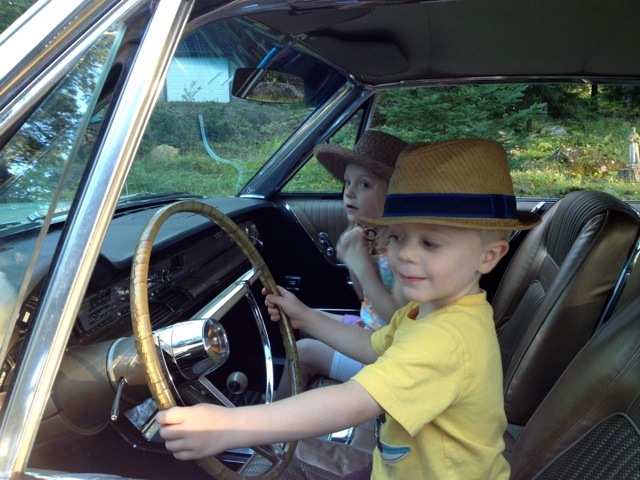 This summer, without grown-up permission or adult supervision, I piled both of 'em into the L and we went for a drive around the block. They were both mildly concerned that they didn't have car seats and webbing to weld them into place so they'd "be safe." We got over that pretty quick. One grabbed the back of the passenger seat, and the other the back of my seat, and off we went—maybe as fast as 15 or 20 mph at one point. The giggles and screams told me they thought this was pretty cool. I figured I'd catch holy Hell from Mama Bear and Herself when we drove in the driveway, but they just came out with cameras blazing. 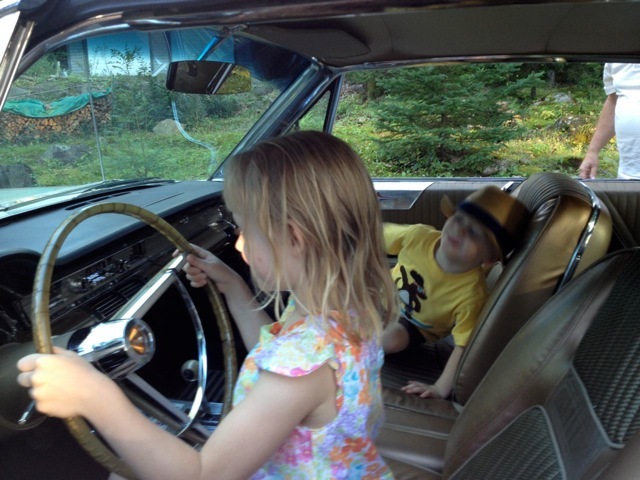 And the kids thought it'd be cool to get ready to drive the thing—so as to be ready when they inherit it. It is a true thing that the hats were their idea.